Study Shows Tylenol Is Not Safe During Pregnancy - I Am Proud Of My Kids! Every pregnant lady would have a unique set of symptoms, but low back pain would be the most common complaint that most of the women would do during pregnancy. 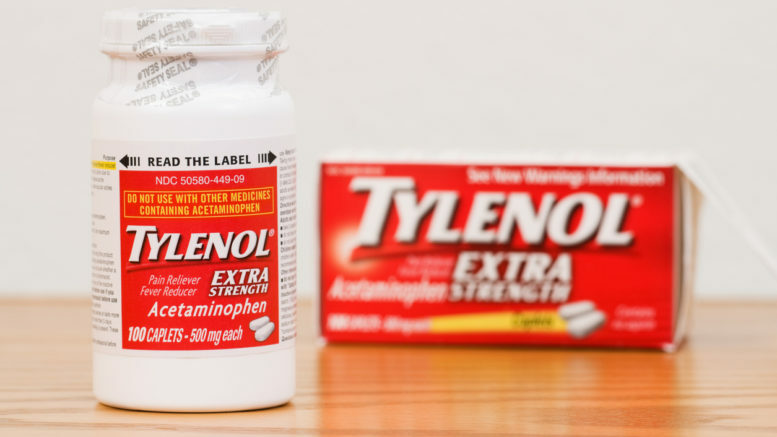 As doctors prescribe acetaminophen (Tylenol) to ease off the low back pain, no significant problems have been reported yet, but new researches are explored a new fact regarding acetaminophen. The study was conducted by the University of Bristol and published in JAMA Pediatrics suggested that the women taking paracetamol when they’re expecting are at higher risk to give birth to children with hyperactivity or behavioral problems. According to Dr. Daniel Khan, UCLA obstetrician said that ‘taking any agent in small quantity would be the best choice’. He further added that ‘use the acetaminophen in little amount in order to meet the needs, but, still, you’re not satisfied, you should get the consultation for sure’. So, medicines should be taken under the supervision of the specialist and if you’re taking Tylenol regularly, you should stop using it. Try to tolerate the pain for the sake of the health of the unborn child. Be the first to comment on "Study Shows Tylenol Is Not Safe During Pregnancy"